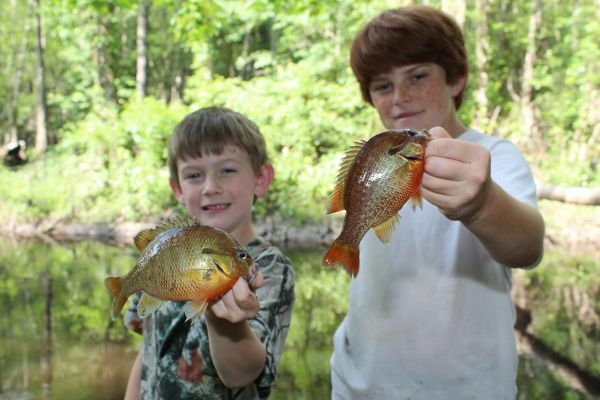 The SCDNR regularly stocks fish throughout South Carolina's waters, and they recently continued the practice at Gallivant's Ferry, stocking 10,000 redbreast bream into the Little Pee Dee River. The fingerlings were raised at the Cheraw Fish Hatchery and this is but one installment of over 10 million fish stocked each year throughout the Palmetto State. The funding for these stockings comes from taxes on the sale of hunting and fishing equipment at retailers across South Carolina.